The highlight of our running year: The Good Morning City Run. 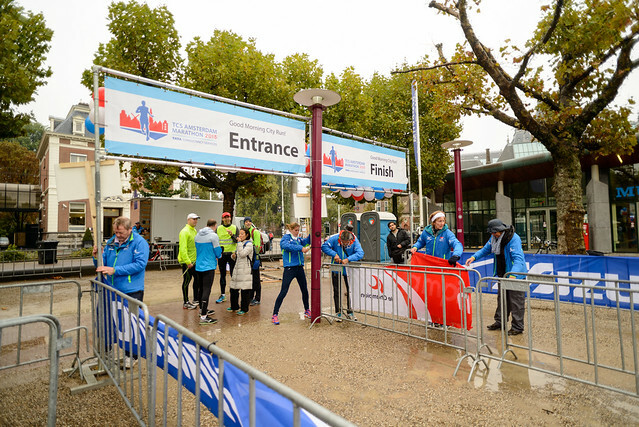 This year already the 7th edition we organised together with the TCS Amsterdam Marathon. A short friendship run the day before the marathon. Guests of the Amsterdam Marathon run a touristic route through Amsterdam in groups with local running guides. We see all the nationalities and all type of runners. I met a British guy, he was going for the Marathon the day after. He told me “this little run takes down my stress levels”. Not everybody wants to run a marathon, we we lots of family members of marathon runners doing small tour with us. We make the event a true Dutch experience with; runners dressed up in traditional gown from Volendam, a hurdy-gurdy with local music and a tulip at the finish line. Join us next year!